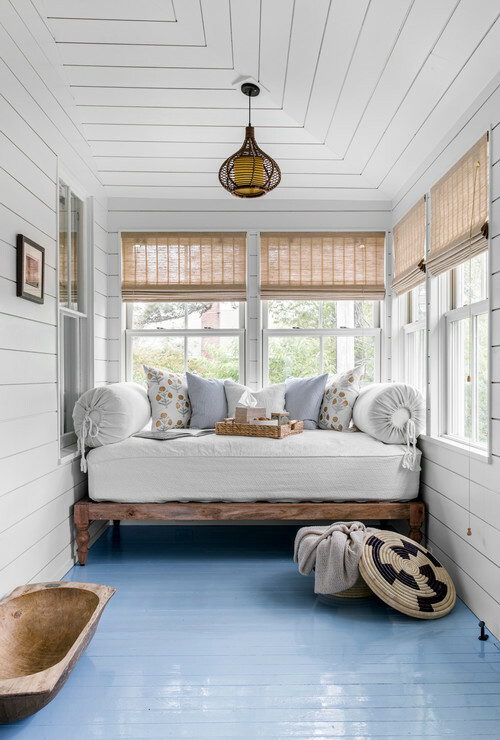 Step inside the front porch and find be greeted by a quaint and cozy daybed. 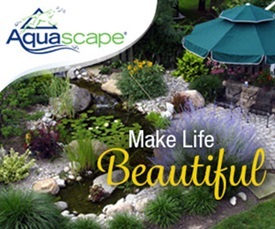 What an awesome place to read, sleep, or hang out with a friend. Here’s a view of the sunroom/porch from inside the house. Love the eclectic light fixture! Furnishings are simple, pretty, and uncluttered. A patterned area rug provides color and pulls the furniture together. Window treatments are kept simple with roller bamboo shades. 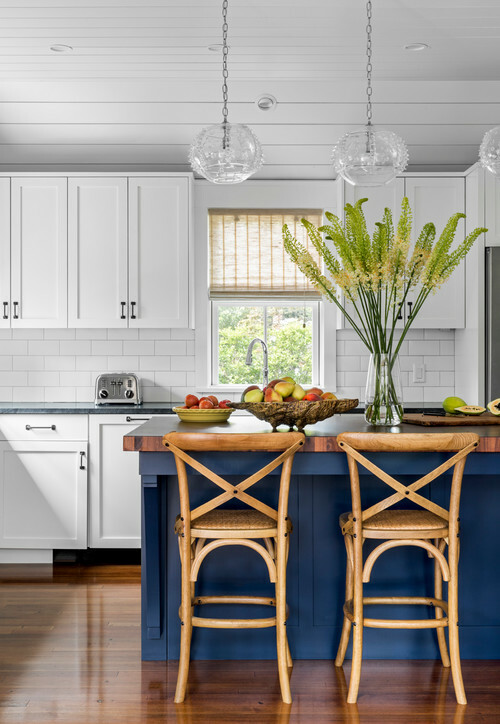 The humble cottage kitchen is decorated in classic blue and white. A trio of glass pendant lights illuminate the kitchen island for casual dining. 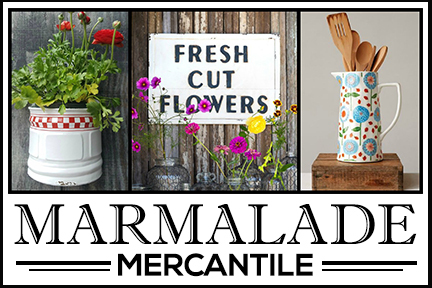 The dining room enjoys a built-in China cabinet, and wood farmhouse table, and pretty slip-covered dining chairs. 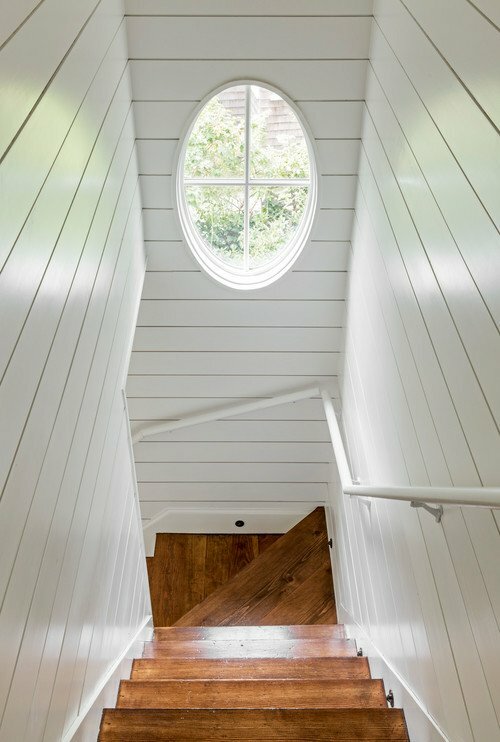 Wood floors gleam underfoot. 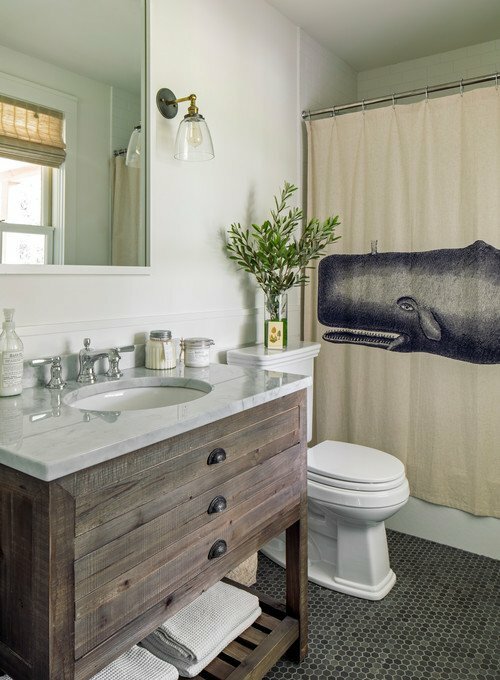 Okay – I want that whale shower curtain! 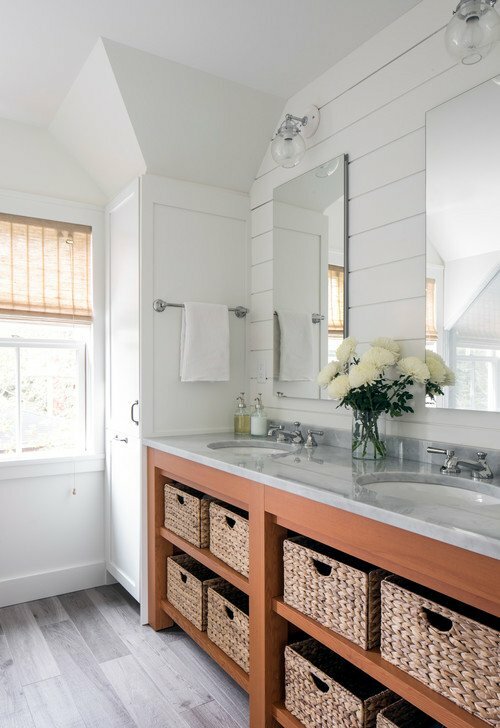 I like this bathroom with its rustic vanity and penny tile floor. 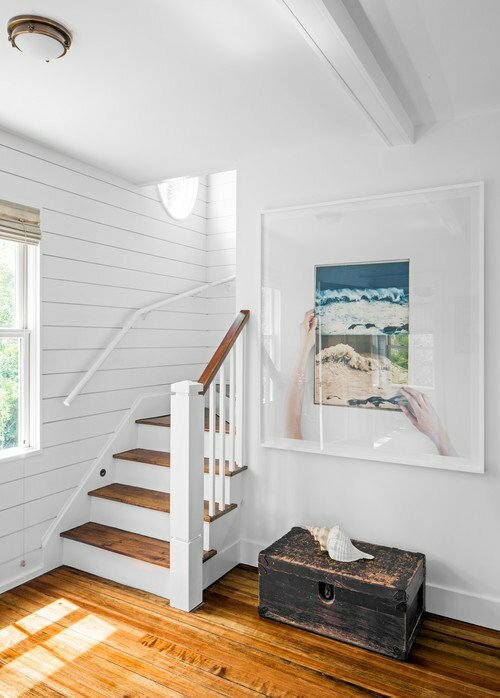 Shiplap siding paves the walls up the pretty staircase in the humble cottage on Martha’s Vineyard. Wouldn’t this be a cute place to stay while on vacation? 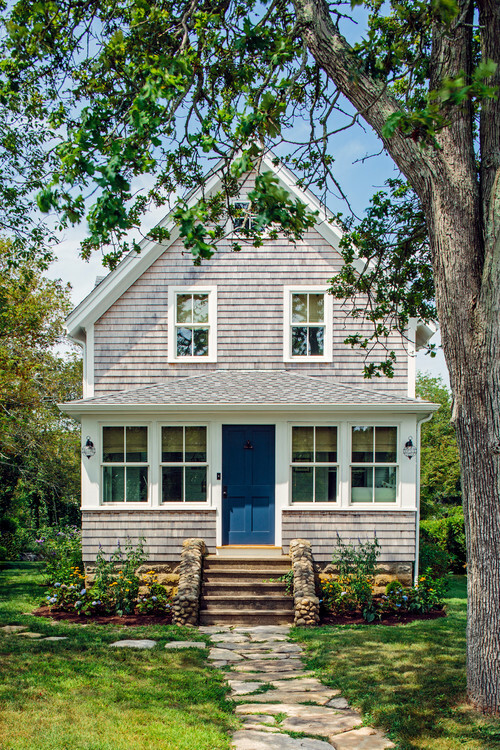 This humble cottage on Martha’s Vineyard is bright and fresh. What a great, well thought out restoration project. 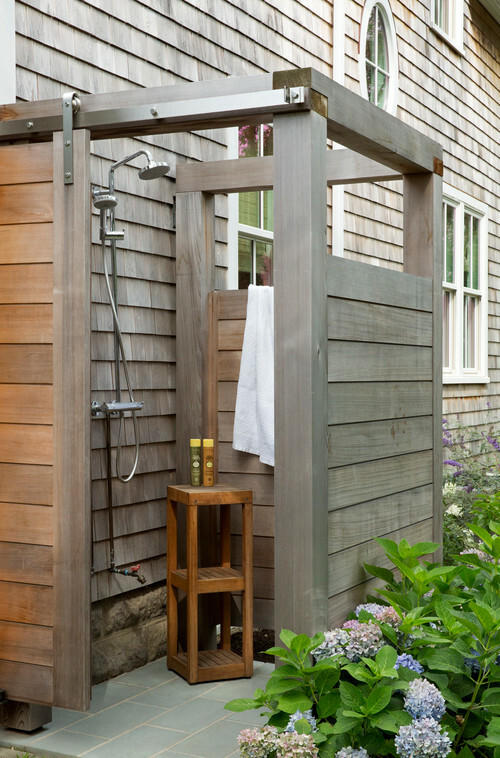 Although you’ll find multiple bathrooms inside the cottage, you can also opt to shower off outside! 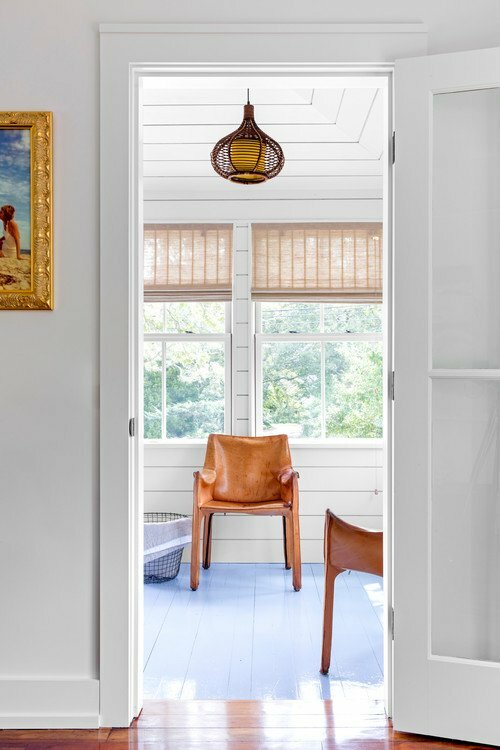 You can see more of today’s humble cottage by LDa Architecture & Interiors over at Houzz. A Cape Cod beauty. 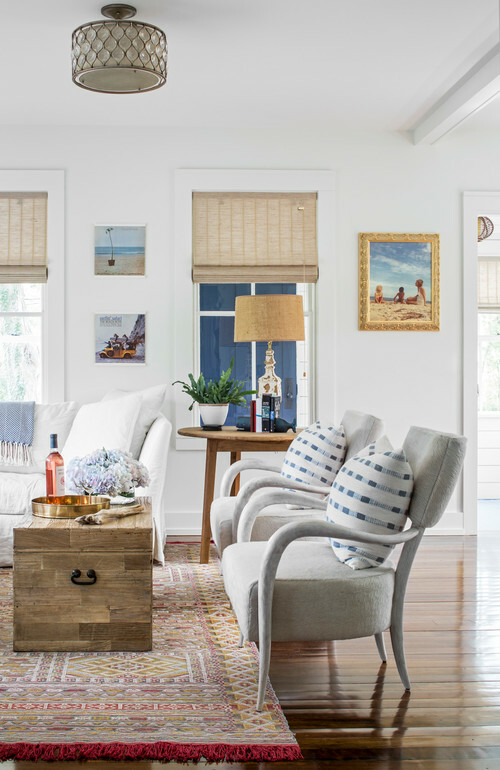 Every detail fits perfectly into the style of house and its coastal location. It is all so appealing to the eye. Simplicity never looked so good. I have been to Martha’s Vineyard once. Hope you get to check this place off of your bucket list, soon. What a cozy cottage! Martha’s Vineyard is such a wonderful place. 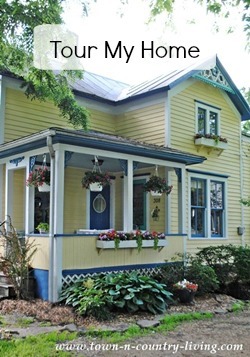 I visited a couple years ago on a girls weekend and adored it! On a business note…..I am a long-time subscriber and I just must tell you that your pop-up to subscribe at the beginning of your blog is a bit annoying. Couldn’t you put it at the end of the blog? I have live on both island. If I had a choice I would choose Nantucket. It’s beautiful, friendly and a less chaotic. 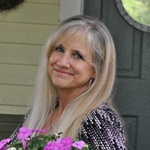 Would love to visit Martha’s Vineyard and this would be the perfect place to spend some time, if possible or a Bed and Breakfast place. This is much bigger on the inside than the picture of the outside leads you to believe. Nice size rooms. Like the first bathroom. Finishes were really nice. Also loved the pretty wood on the staircase. Beautiful place for a vacation.